*For metered parking, we recommend clients download the MPLS Parking App so they can refuel their meter from the comfort of our salon chairs. Click the icon below to download the MPLS Parking App. Metered parking is located on Nicollet. Meters can be paid in 2 hour increments with silver coins or by the parking application that you can download on your Apple or Android devices. The city parking app is highly recommended to ensure you are taken care of during your salon visit. 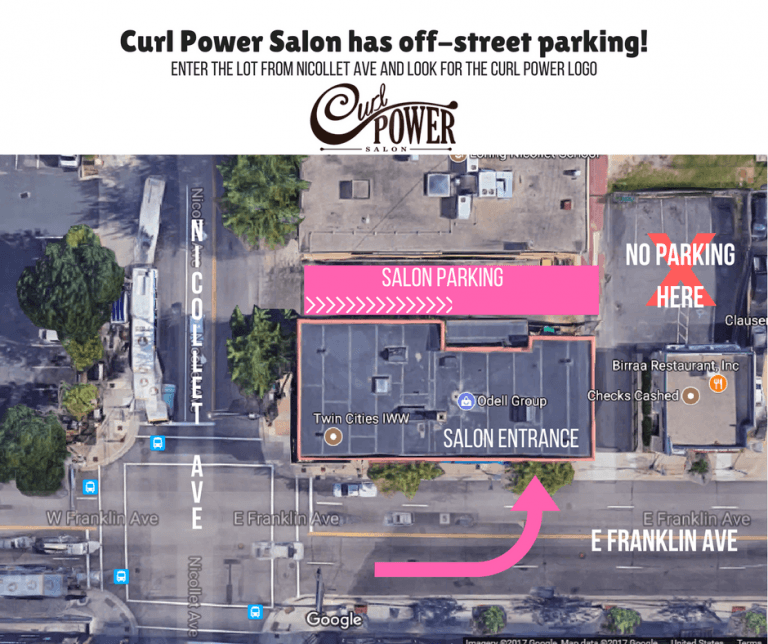 Free parking is available behind the salon in our 6 spot parking lot for compact cars or in front of the salon on either side of East Franklin Avenue during all business hours EXCEPT Weekdays from 4pm – 6pm. Street parking is also abundant on Nicollet Avenue (free and metered) and 1st Avenue South (free). Free parking is available in the shared parking lot for our building. Street parking is also abundant on surrounding streets (free and metered) with certain timed restrictions. A second public parking lot is available across the street with a 3 hour limit.